Start saving up for brews in style by ordering the Red Cup Beer Money Coin Bank, the coin bank thatÍs specifically designed for saving beer money. The iconic red cup is a fitting and convenient way to collect the kind of loose change you need to accumulate for a night on the town. The big red cup is ideal if youÍre the kind of person that stays busy collecting nickels from previously consumed bottle returns. 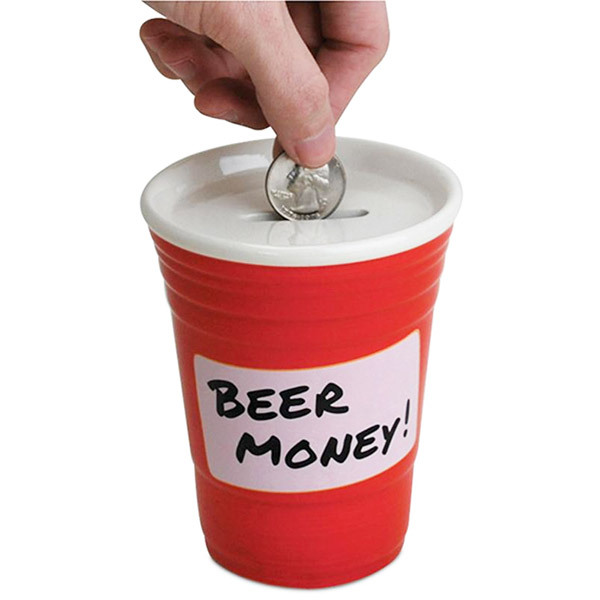 Made of ceramic, Red Cup Beer Money Coin Bank also makes a great gag gift for the penny-pinching beer drinker in your life!